Easy to make Beef Chorizo Stuffing recipe, one of my family’s favorite holiday side dishes to serve alongside chicken or turkey. 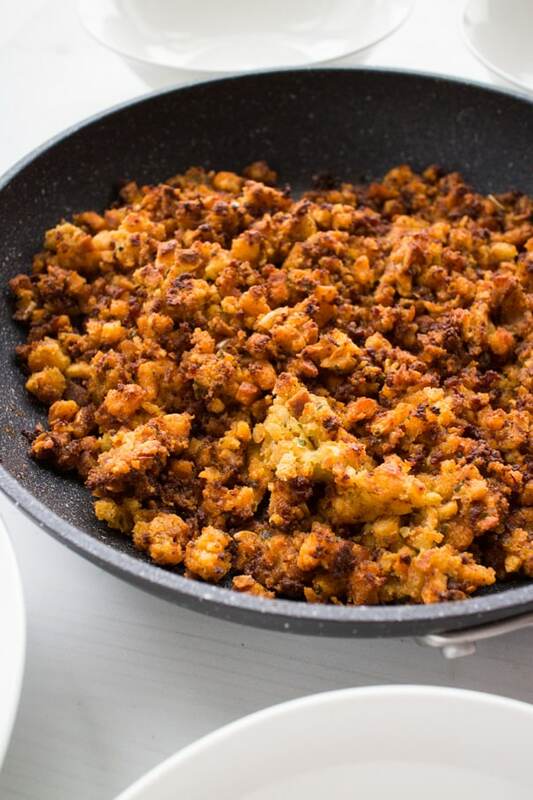 This classic simple stuffing is made with white bread cubes and chorizo. 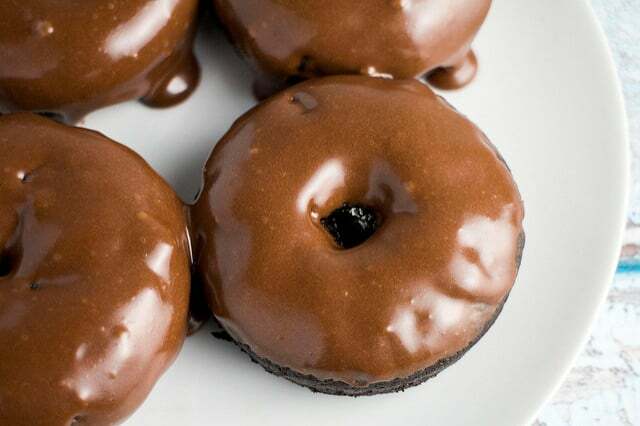 Your entire family is going to be asking you for this recipe! Thank you Cacique® for sponsoring this post. Visit your local grocery store to pick up your fave Cacique® product for a delicious dinner tonight! 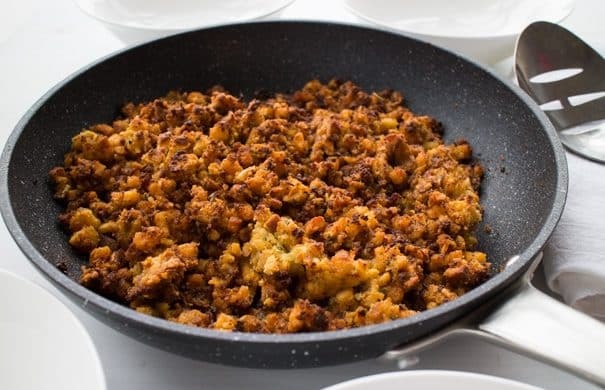 This stuffing recipe is a family favorite, not just because of how tasty it is, but because of how easy it is to make! The holidays are about spending time with your family, so with this stuffing you don’t need to be stressed out! I often serve this stuffing alongside chicken or turkey, but I also love it next to pork chops too!